Last week a very proud Mr Read went to the Town Hall to celebrate the achievement of some of our children for attending after school activities both in school and at other learning destinations. The awards were for between 100 hours upto 600 hours for some children, this is very impressive commitment and demonstrates the type of resilience needed to become highly skilled in specific activity or sport. This time was slightly different to the other ceremonies as the children actually dressed up in caps and gowns just like at a real graduation. What more motivation could you need to join a club? Why not ask in the office if there are any spaces or talk to the office team if you have any ideas of different clubs we could put on at school. As part of the national anti-bullying campaign, next week we will be focusing on making children and families aware of issues related to bullying. The theme this year is ‘making a noise about bullying.’ We will be looking at this in more detail next week and what we can do to help. There are lots of exciting activities planned such as writing plays, making badges and posters. Look out for some of these around school. We are also going to be learning about e-safety and keeping ourselves safe when online. Don’t forget to ask your children next week about what they have been learning about. After a lovely weeks holiday we welcome you all back to life at WCM tomorrow. I hope you have had a lovely break, I have been on a mini adventure to Robin Hoods Bay. It was lovely. 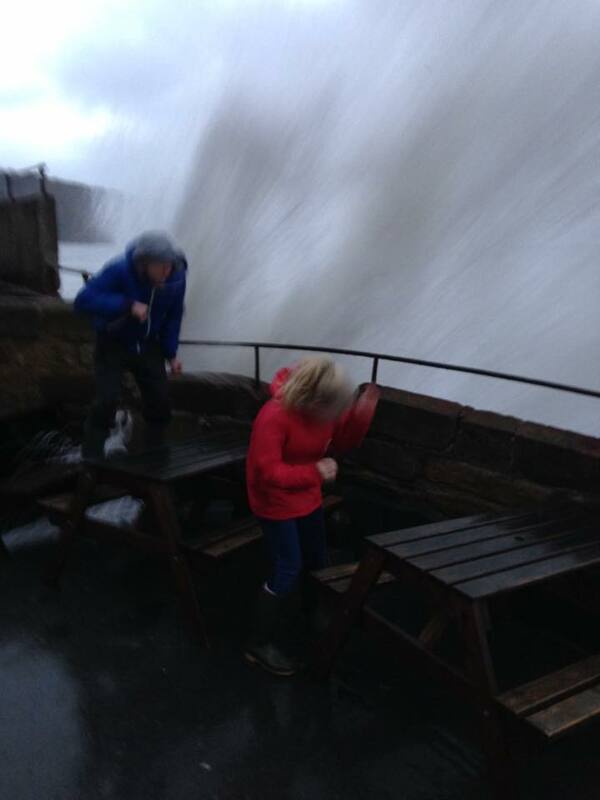 We had some stormy weather and Ton and Ellie got caught out by a big wave!